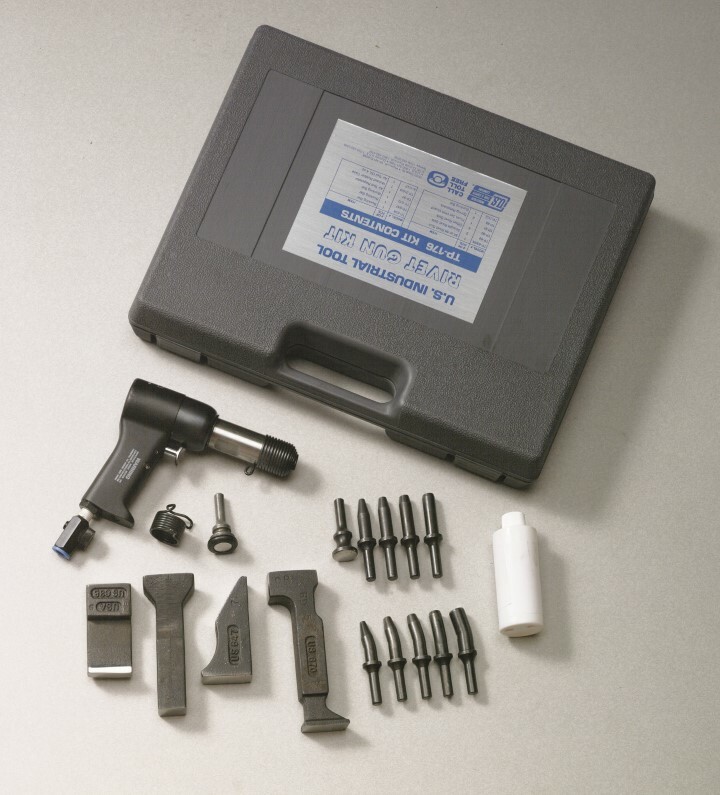 U.S. Industrial Tool manufactures and assembles a number of rivet kits from a basic kit (containing a rivet gun, retainer springs, rivet sets, bucking bars, and air tool oil in a plastic case) to the Deluxe sheet metal kit designed to meet the need of the professional aircraft mechanic. Rivet kits come in plastic kits, plastic tool boxes, and metal tool box roll away with top box. Rivet kits are designed around kit plane manufacturer’s tool recommendations for assembling the kit. All rivet kits include rivet guns manufactured and assembled by U.S. Industrial Tool that carry a 1 year warrantee. Pistons, valves, and cylinders and precision machined, ground, and hardened for long life. Rivet kits come with your choice of the following rivet guns: TP82, TP83, or TP84. Custom kits are available upon request. Request a quote today on the rivet kit you need, or contact US Industrial Tool for more information.